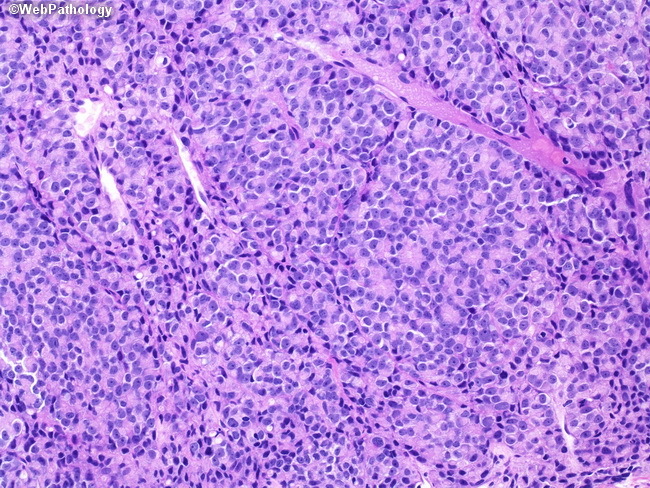 Solid sheets of tumor cells with only rudimentary gland formation in a prostate needle biopsy. Gleason score 5+5=10. Higher magnification of the previous image.